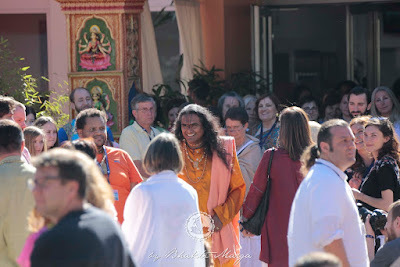 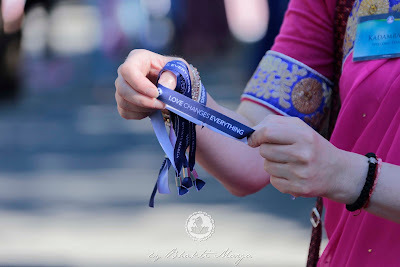 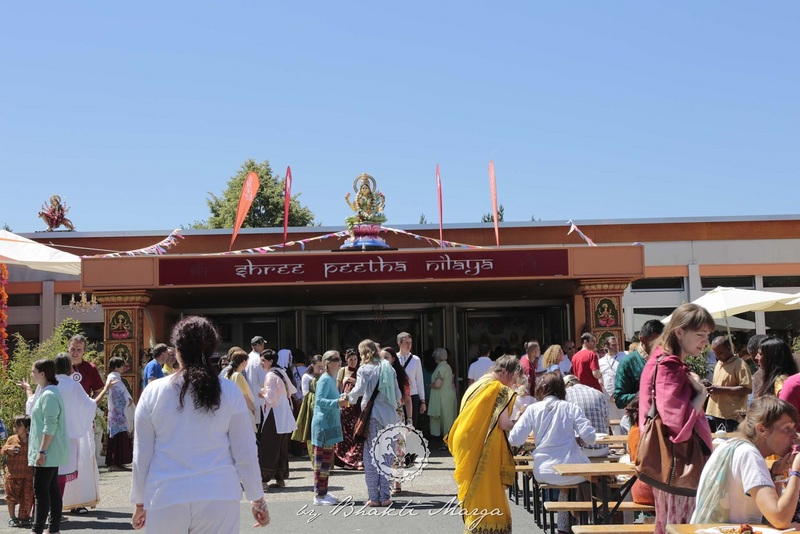 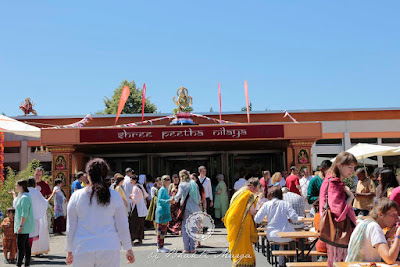 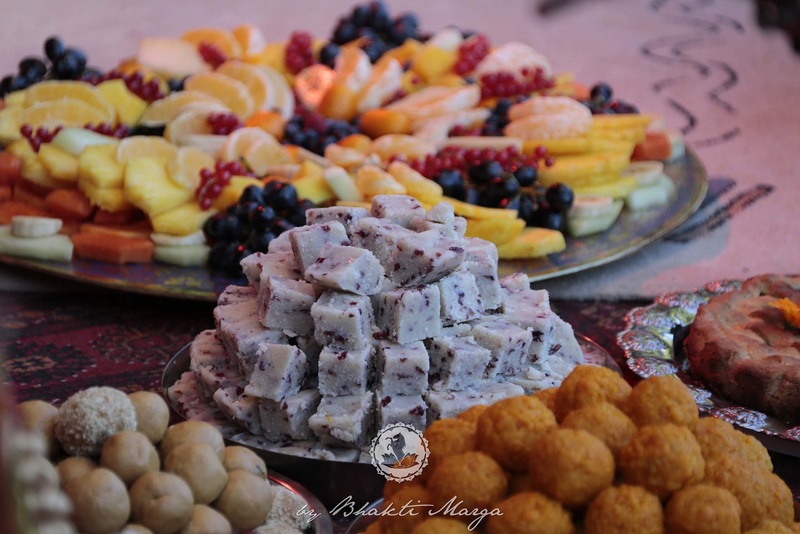 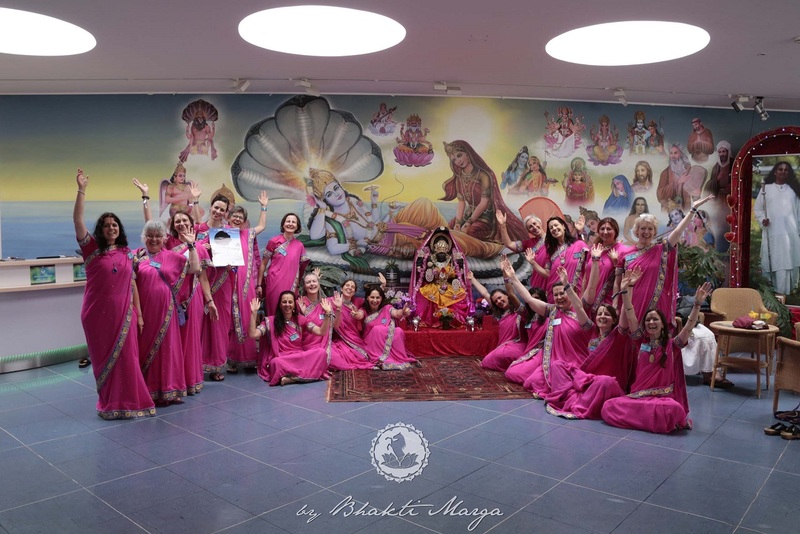 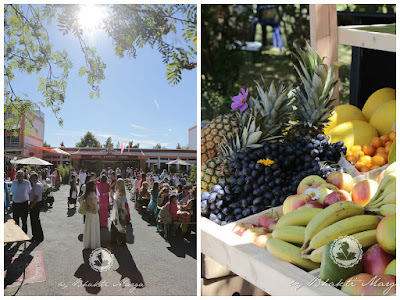 On Friday morning, the 10th July, hundreds devotees of Sri Swami Vishwananda's and their invited guests, from all over the world, started arriving at Shree Peetha Nilaya to participate in the celebrations of the 10 Year Anniversary of Bhakti Marga. 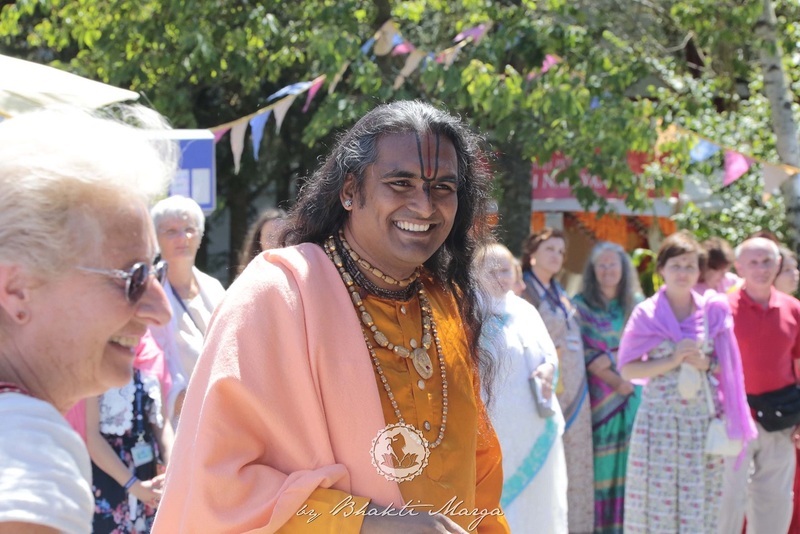 After several months of plans and preparations for this event, finally everything is falling into place by the Grace of our beloved Satgurudev Sri Swami Vishwananda. Each participant of the 10YBM Celebrations receives from the Welcoming Team a band "Love Changes Everything"
Shree Peetha Nilaya kitchen's team, supported by the 10YBM organisational team and dozens of devotees, from different countries, are finally putting into practice a plan designed to provide a great variety of delicious international food, sweets, drinks including fresh fruit juices and smoothies. 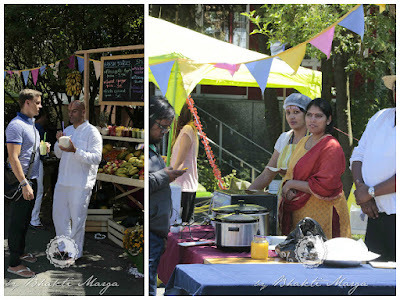 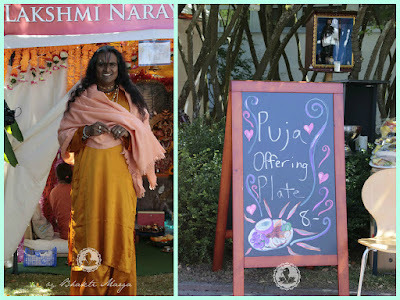 During these three days, the devotees of Sri Swami Vishwananda have an unique opportunity to participate in prayers performed in three different Mandirs, specially set up in the gardens of Shree Peetha Nilaya. 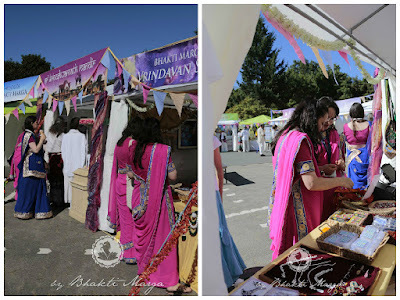 These Mandirs were named by Sri Swami Vishwananda as Maha Kali Mandir, Lakshmi Narayana Mandir and Radha Krishna Mandir. 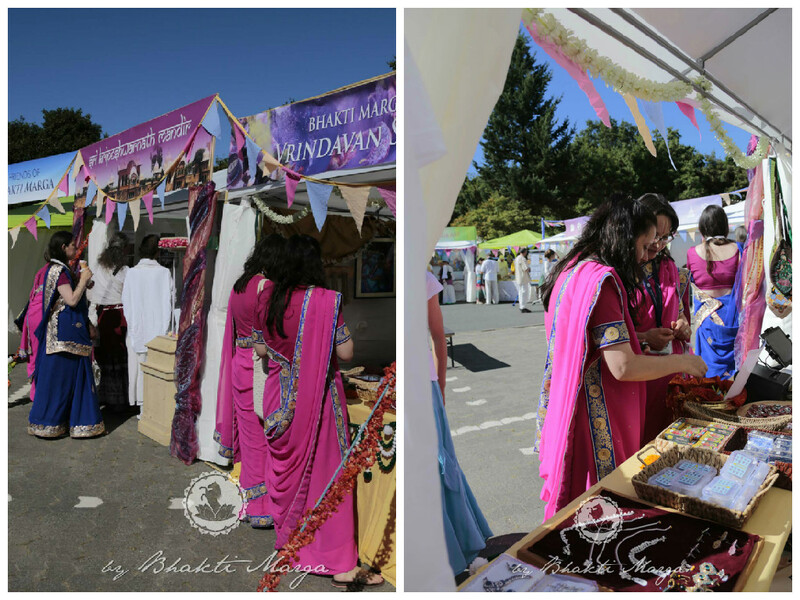 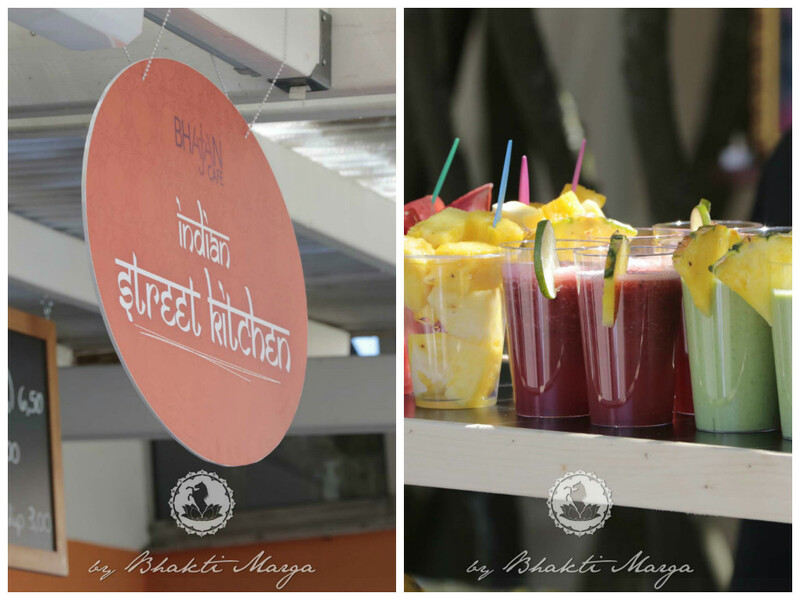 All participants of this great event can also visit the sixteen open-air stalls, where a wide range of products are displayed and promoted. 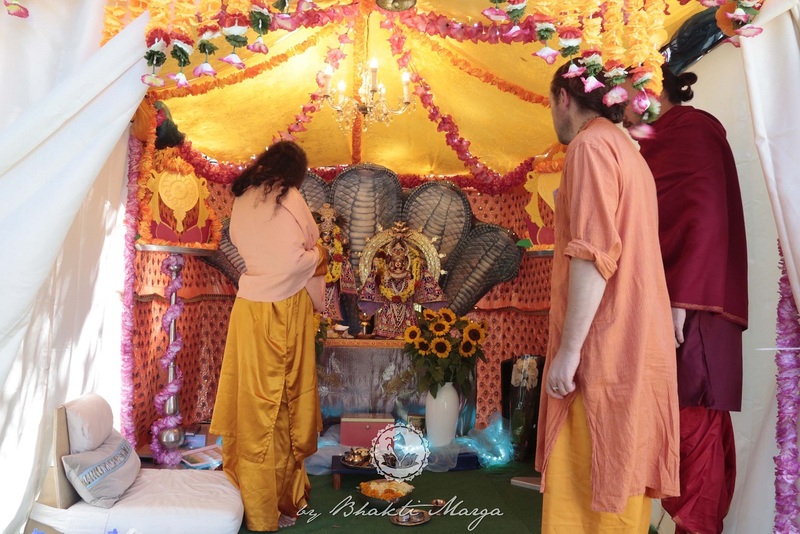 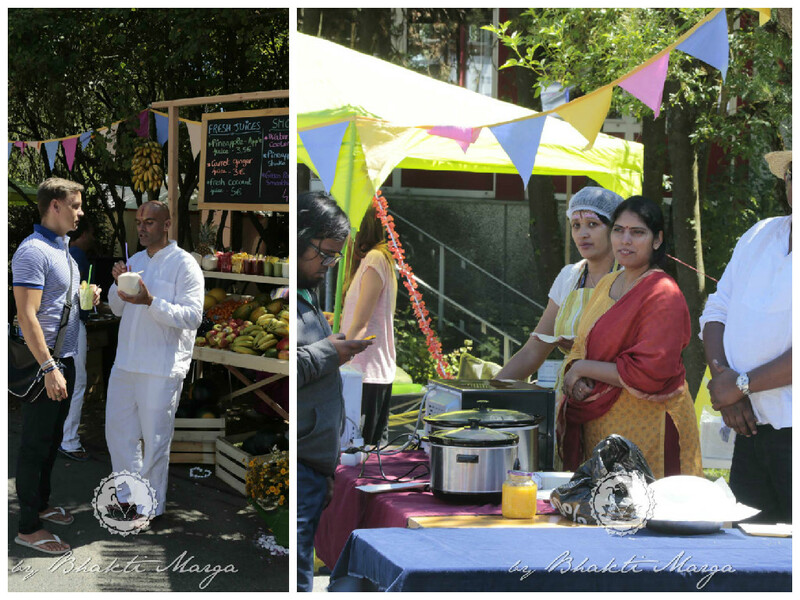 Among them, four stalls are grouped under the theme “Sadhana of the New Era”, promoting different types of sadhana taught by Sri Swami Vishwananda, namely Atma Kriya Yoga, OM Healing, Simply Meditation and the Mantra Project. 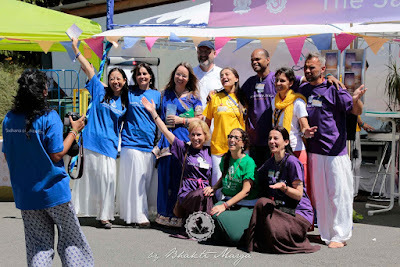 The team promoting the "Sadhana of the New Era". 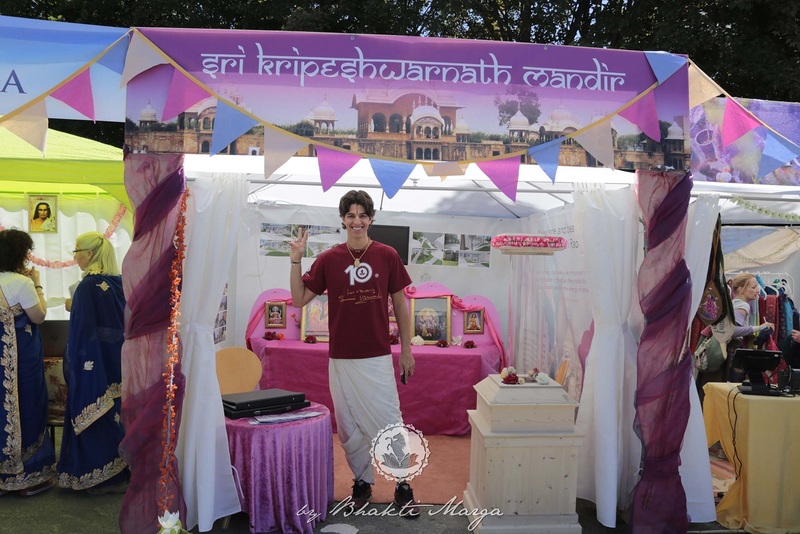 There are also stalls promoting the Alpha Omega Water, Bhakti Marga Art, Friends of Bhakti Marga and the Fundraising of the New Sri Kripeshwarnath Mandir, next Shree Peetha Nilaya's great construction project.